Besides the clothes in our closets, we have clothes in the drawers of a couple of dressers. Those drawers are crammed full of underwear, socks, and miscellaneous accessories. My wife keeps those drawers neat and well organized. Then there are those plastic stackable storage drawer units all over the house. Some of the individual drawers are very specific in content and purpose while others are catchall junk drawers. You probably have some of those all-purpose drawers around your house. Those are the drawers where you throw stuff temporarily. Usually that stuff stays there for a long time to be discovered some time later. The storage container business has become big because a lot of people like to keep things and to store things. It's really kind of crazy because the more we have the more stuff we don't use and just keep in storage. Plastic bins and storage drawers are probably as much of a curse as they are useful. For now, huge chunks of my life are in drawers. Someday if I have to move to a smaller place--or if I die--something will have to be done about all of this excess stuff with which I surround myself. If someone else has to deal with it then they might not be overly thrilled with what I've stored away. Or maybe they will be fascinated if they have the time to sort through it. What we keep over time might eventually be as much of an enigma to ourselves as to those who have to deal with it later. Perhaps it would be better to solve my own enigmas rather than leave them for others to figure out. 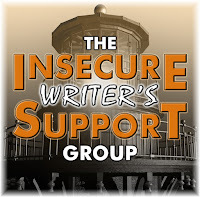 Join us on the first Wednesday of each month in Alex J. Cavanaugh's Insecure Writer's Support Group--a forum of writers who gather to talk about writing and the writer's life. For a complete list of participants visit Alex's Blog. The co-hosts for the April 4 posting of the IWSG are Olga Godim, Chemist Ken,Renee Scattergood, and Tamara Narayan! April 4 question - When your writing life is a bit cloudy or filled with rain, what do you do to dig down and keep on writing? That's easy! I blog. 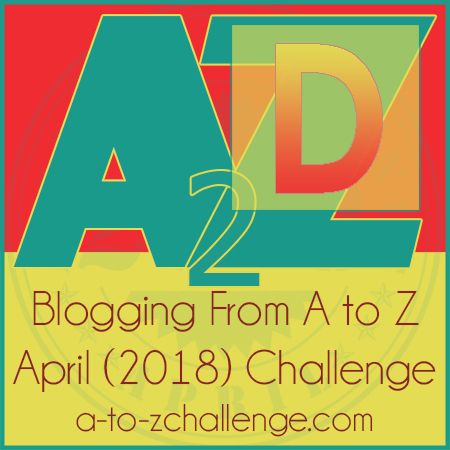 And there's nothing like April A to Z to really make me dig down to keep writing. It's nice to have specific goals in order to have something to keep the writing going and the A to Z Challenge does that for me. Beyond blogging, I've always had a tendency to write more when I'm feeling down or in a quandary about life. My writing life actually tends to decrease when I'm happy and busy with things to do, places to go, and people to see. For me writing is that solitary experience where I can express my thoughts and feelings or distract myself from whatever is bringing me down. Writing is an escape just as reading can be. Some of my best writing has emerged from my darkest hours. If I'm feeling the urge to write then not much can stop me. And when I've gotta do it, then I just do it. It's the way I've always looked at work or any other obligation. I might procrastinate sometimes, but I do what I feel needs to be done. If I'm not doing it, then I must not be feeling it because I'm apparently not seeing a goal that has to be reached. Did you ever puzzle over why others have kept certain things that they acquired in life? What odd things do you have that might mystify your heirs? Do you tend to retreat into self-absorption when you are down? Depending on their age, the people sorting through the drawers might not know what to do with any floppy disks or 8 tracks. Best for you to sort through them now. Who knows, maybe you'll come across your long lost coin or stamp collection. Emily, so true. I think I have both as well as other odd things of olde. I know where my stamp collection is and it's fairly well organized. One can never have too many drawers......to put all the clutter in. Yvonne, Drawers, closets, shelves or whatever--storage is nice to have. You have a whole month to drown yourself in writing. We used to have a lot of those plastic drawers. I hated those things - so cheap - and we have since gotten rid of them and most of what they contained. Alex, the April writing is good for me, but there is other writing that I need to do as well. I don't mind the plastic drawers where I have them. Cheap is one reason we have so many. "When in doubt what to do with something, throw it in a drawer--eventually you'll forget it's there until that drawer gets cleaned." You're killing me, sounds like an organization tip my husband would follow. Home organization is a thing I crave, but with three kids and a chaotic schedule plastic bins have been my weak point of "when I find the time". Shopgirl--yeah, I think that was in some kind of handbook for guys. Actually my mother used to use that technique a lot. I understand the thing with kids. I had my day with mine along with my job. Now that they're all gone, I'm catching up--but I miss both. I thought those plastic boxes were a great idea until I accumulated half a dozen. Having been involved in several estate sales I can honestly say everyone will have something they kept that no one else will understand ;-) Often, it's those things that others want to keep as mementos. 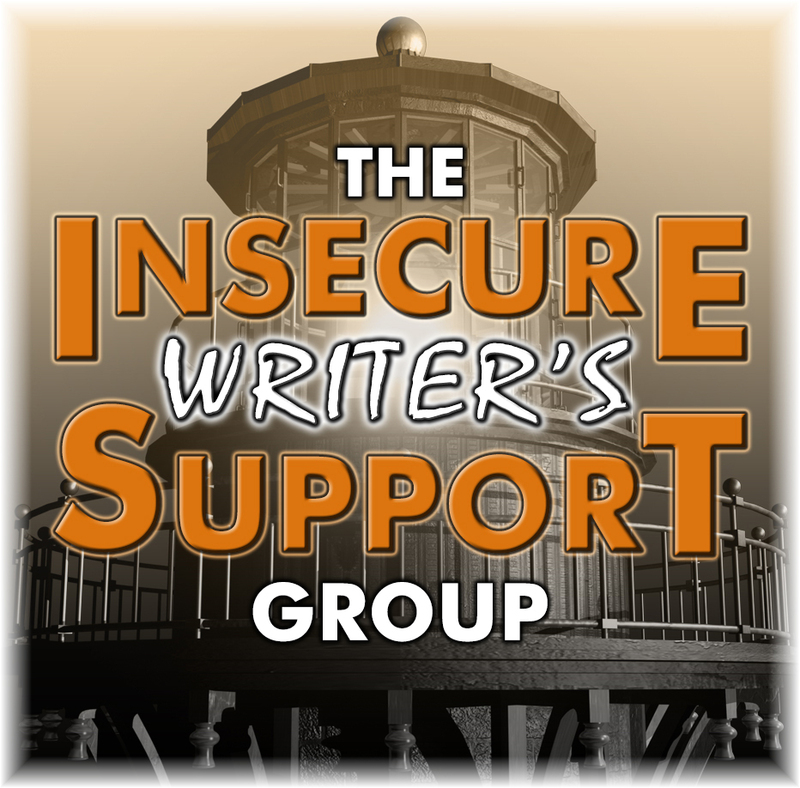 Writing is one of the few things that helps me through times of inner-retreat. Interacting with others - even strangers - gives us more to think about. Diedre, only a half dozen? I have more than that in some of my closets. Then there's the others throughout the house. Whoever goes though my stuff after I'm gone might have a lot of head-scratching moments. Anna, I just wish I felt the urge as much as I used to. I'm becoming complacent. Someone is going to have a lot of fun sorting out our bins of "stuff." Although after having to clear our my mother's house in just 5 days, I understand how important it is to downsize as we get older. L.Diane, I still haven't gone through a lot of my mother's stuff that I kept. As I get older I wish I could start returning a lot of stuff for some kind of refund. Maybe it would be a good income supplement--in my fantasy. What that modern joke/meme going around? "We keep a potato masher in the drawer because sometimes it's fun not to be able to open that drawer!" Zulu, I have drawers like that with more than just a potato masher trying to hold shut. I'm pretty sure my stepkids will keep the marbles collection but probably toss out the rest of my knick knacks cause they'd have no meaning for them. JoJo, if you had saved those knickknacks it must have been for some aesthetic reason. I'd say someone will appreciate them. I agree on the happy/sad paradox. You want to pour out your heart when you're sad. Kind of like praying, unfortunately. CW, sadness is like opening a drain to ones soul. Cleaning out my drawers is on my list of to do's now that I am not working at Michaels anymore. Clothes AND the "junk" drawers. So much stuff we keep for no apparent reason, and yet as my husband says, the minute we get rid of it we'll need it or someone will ask if we have it! Janet, there's always a great irony to that situation. I've had things for years then needed them unable to find them and then go out and buy another that ends up to be lost. Calensariel, writing is a catharsis. No point in keeping all the darkness deep inside. Writing helps work things out. I have this kitchen drawer that stuff is thrown in. I finally tackled it and most went out. I have this theory that if I put something away or in storage and forgot about it, then, for the most part, I don't need it or it was not important. There are a few closet items that i must get rid of but hope to get some money for it...we shall see. Birgit, my mother always had a catch-all kitchen drawer. We don't have one of those in our house, but there are other drawers and secret places where things can end up. I've often heard the rule about getting rid of things you don't see or use in a year's time. Good advice that I tend not to heed. Give me drawer... and I can fill it up. There's prob not a drawer in our house that's not pretty much filled up... Hubby will say that it's all mine though. His is in the basement, drawers of screws, nails and tools! Jeanne, I don't think we have any drawers that are absolutely, but there are a few that might have a bit less than most of the others. We have dresses and chests filled with clothes, as well as large plastic containers and these little drawers. Honestly, we have too much stuff and I seriously doubt we'll ever wear it all out before we're called home to meet God. Some of the stuff I won't want to wear when I'm 90 but I know it's going to be hard to part with it. Did you ever puzzle over why others have kept certain things that they acquired in life? My late in-laws kept everything. In fact, we joked about it over the years how they never threw anything out. They grew up in the Depression so wasting anything was not in their nature to do. They'd find a way to recycle, repurpose, or rebuild before it went into the trash. What odd things do you have that might mystify your heirs? At the moment nothing comes to mind but I'm sure we have our share of odd things buried inside this house somewhere. We'll find it when we move, I'm sure. Do you tend to retreat into self-absorption when you are down? Yeah, I do pull inward when I'm in a bluesy funk. I don't like getting to that point and often have to force myself to not show it when around others. Plus, it helps to speed up my recovery to my usual sunny disposition. Thanks for hosting the A2Z fun, my friend! Cathy, I kind of lean toward how your in-laws were. My parents had grown up in depression times so they knew how to be careful with things. My parents had certain things in our house for nearly as long as I can remember and a few of those things I kept after my mother died. I try not to throw stuff away, but some stuff no one wants. Mike, I remember Buddy Guy and Smokey is still performing. Stuck No Longer--Unleash the #BOTB Winner!